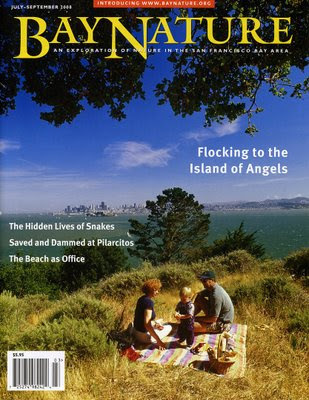 Check out one of my most recent magazine covers on Bay Nature magazine, shot on Angel Island State Park in the middle of the San Francisco Bay Area here in Northern California. It’s a beautiful small island with wonderful views of San Francisco, Alcatraz, the Golden Gate, the East Bay as well as the Bay Bridge. There are wonderful hiking trails around the island and you can best access it from Tiburon (a beautiful town 45 minutes north of San Francisco, near Sausalito).